Plumbing is an essential service for all properties. Small plumbing issues can become nightmares if they are not dealt with efficiently. 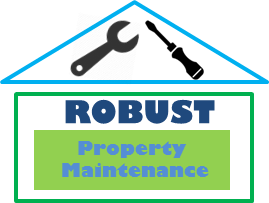 Plumbing is one of the most demanded Property Maintenance Services Robust provides to our clients. Our Plumbers are certified and registered and have years of experience. Whether you have a small leak, a boiler than needs to be serviced or maybe you want to swap from an electric to a plumbed shower, we can provide a quick turnaround and a superior professional finish. At Robust we provide full plumbing services throughout Co. Dublin. We employ fully qualified, time served and professional plumbers with a wealth of experience. Whether it’s your own home, business or a rental property we will deliver a professional and efficient service.